Ferrier Hodgson too close to the ATO to pursue gold refiner hit with $209 million GST bill. Ferrier Hodgson’s Robyn Duggan: seconded to the ATO free of charge but no favouritism on appointments. Creditors have rejected an attempt to supplant liquidator Schon Condon at a recent meeting of ABC Refinery Pty Ltd where the replacement’s independence came under scrutiny and the meeting chairman was forced to reprimand an Australian Tax Office (ATO) official. The minutes of the October 7 meeting outline how the ATO sought to have the Condon Associates founder and principal replaced with Ferrier Hodgson’s Robyn Duggan and Morgan Kelly. The creditors who weren’t the ATO had other ideas. Incensed by unsolicited approaches from K&L Gates acting on the ATO’s behalf, they trounced the resolution to replace Condon 12 to one. For Duggan and Kelly it was a painful miss. The ATO has lodged a proof of debt (PoD) for a mammoth $207.9 million in GST. The other creditor’s PoD’s total $1.587 million. It could’ve been a good earn and set Ferrier’s in the prime position for similar appointments. 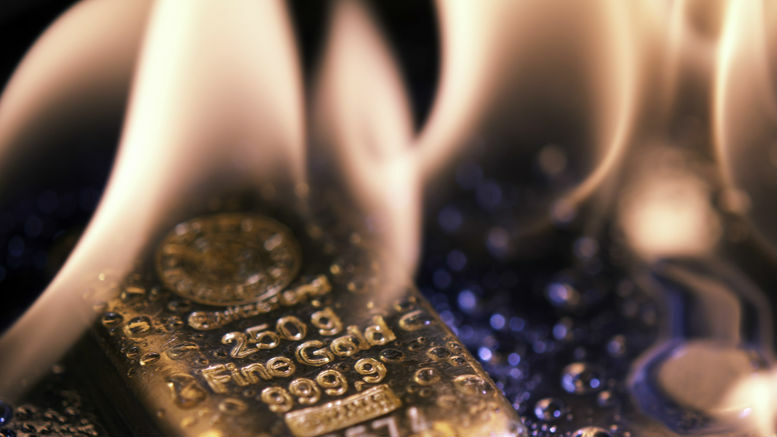 The ATO has been struggling since at least 2012 to come to grips with an aleged GST tax scam perpetrated by figures in the gold trading sector which sees them buy gold bullion that doesn’t attract the tax, melt it or break it down, sell the resultant “scrap” gold that does attract the tax, and pocket the 10 per cent. If the ATO can get a court to rule it’s a scam it’ll be chasing every precious metal refiner and no doubt every refiner’s business adviser worth their troy ounce will be watching closely and thinking about restructures and contingencies. Prior to the vote the proceedings were enlivened by sundry exchanges of pleasantries between the ATO’s director of significant debt management Aris Zafiriou and ABC Refinery director Andrew Cochineas, and that’s perhaps no surprise. At the commencement of the meeting Cochineas told the other creditors that the only reason the company was placed into liquidation was because it had been issued with a “highly controversial and disputed amended assessment” for GST. “The assessment effectively seeks to make the company pay GST twice by making it liable for the theft of GST by persons remote and unknown in the supply chain of material to the company. The company is a model corporate citizen and has paid all relevant taxes,” he said. When it came time to discuss confirming Condon’s appointment as liquidator, lawyer Michael Hayter from Gillis Delaney who was chairing the meeting on Condon’s behalf advised that Duggan and Kelly had provided a consent to act. A lawyer for ABC Refinery then asked if Duggan had been consulting to the ATO. The minutes record that Duggan confirmed that she was working at the ATO two days a week on a six month secondment where she was “educating officers on Phoenix Activity in insolvencies” as well as voidable and uncommercial transactions. Duggan said it was “advisory training” only and that she had no conflict of interest. When ABC Refinery’s lawyer suggested she provided free training “to foster closer relationships” Zafiriou interjected, drawing a reprimand from Hayter. When contacted by SiN yesterday, Duggan provided a response that in essence mirror’s the minutes, with a slight variation. “The services provided to the ATO are part of a two-way knowledge sharing secondment for an average 1 day a week over 9 months. There is no case management involved. We considered the issue and were satisfied that there was no conflict of interest,” she said. After the resolution was defeated Zafiriou called for a poll which didn’t get up on the numbers though Hayter noted that the dollar value of the debt was in favour of the resolution to replace Condon. Hayter told the meeting he would vote against the resolution if he had been required to break a deadlock, noting that while Duggan has a good reputation “there are some concerns with favouritism with the ATO for Ms Duggan and Mr Kelly as the ATO gives a lot of work to Ferriers, above a certain level which they may be biased. “A substantial part of the Liquidation involves investigating ATO debt and preferences,” he said. “If Ms Duggan is seconded two days a week at the ATO there is a perception of bias and based on the Bank of Queensland case I would vote against Ferrier’s appointment,” Hayter said. Condon told SiN yesterday he had no idea if the ATO would provide him with funding to investigate its concerns. “I’ve been back a short length of time and it’s a huge matter and I won’t be making comment at this early stage,” he said. Cochineas meanwhile has confirmed he will fund the liquidator to challenge the ATO assessment in the courts. Be the first to comment on "Creditors reject Ferriers pair over ATO role"